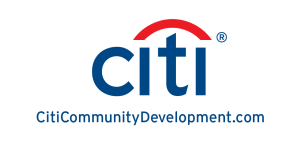 Citi Community Development leads Citi’s commitment to financial inclusion and economic empowerment for underserved individuals, families and communities across the U.S. Through innovative collaborations with municipalities, community groups and leading nonprofit organizations, we harness Citi’s expertise, products and services to help expand opportunity for all. To learn more, please visit www.citicommunitydevelopment.com. CUNA Mutual Group was founded in 1935 by credit union pioneers and our commitment to their vision continues today. We offer insurance and protection for credit unions, employees and members; lending solutions and marketing programs; TruStage™ branded consumer insurance products; and investment and retirement services to help our customers succeed. To learn more, please visit www.cunamutual.com. Freddie Mac makes homeownership and rental housing more accessible and affordable. Operating in the secondary mortgage market, we keep mortgage capital flowing by purchasing mortgage loans from lenders so they in turn can provide more loans to qualified borrowers. Our mission to provide liquidity, stability, and affordability to the U.S. housing market in all economic conditions extends to all communities from coast to coast. To learn more, please visit www.freddiemac.com. Visa Inc. is a global payments technology company that connects consumers, businesses, financial institutions and governments to fast, secure and reliable electronic payments. We operate on the world’s most advanced processing networks, VisaNet, that is capable of handling more than 65,000 transaction messages a second, with fraud protection for consumers and assured payment for merchants. Visa’s innovations enable credit unions to offer their members more choices: pay now with debit, pay ahead with prepaid, or pay later with credit products. Visit https://usa.visa.com/ or https://visa.com/creditunions. Fannie Mae serves the people who house America. We are a leading source of financing for mortgage lenders, providing access to affordable mortgage financing in all markets at all times. Our financing makes sustainable homeownership and workforce rental housing a reality for millions of Americans. We also help make possible the popular 30-year, fixed-rate mortgage, which provides homeowners with stable, predictable mortgage payments over the life of the loan. Our tools and resources help homebuyers, homeowners, and renters understand their housing options. To learn more, please visit www.fanniemae.com. 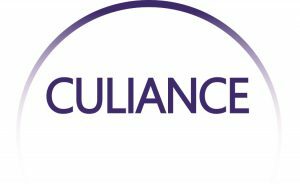 CULIANCE, formerly known as CU24, operates the largest credit union-owned ATM and POS network, including access to more than 80,000 surcharge-free ATMs, and a range of payment services that can be tailored to meet the objectives of individual credit unions to help them compete in the evolving financial services industry. To learn more, please visit www.culiance.com. LexisNexis Risk Solutions harnesses the power of data and advanced analytics to provide insights that help businesses and governmental entities reduce risk and improve decisions to benefit people around the globe. We provide data and technology solutions for a wide range of industries including insurance, financial services, healthcare and government. For more information, please visit www.risk.lexisnexis.com. MGIC, the principal subsidiary of MGIC Investment Corporation, serves lenders throughout the United States, Puerto Rico, and other locations helping families achieve homeownership sooner by making affordable low-down-payment mortgages a reality. To learn more, please visit www.mgic.com. 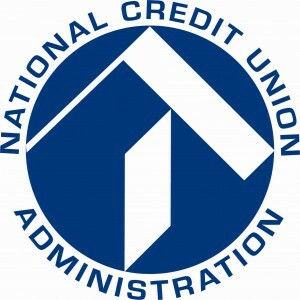 National Cooperative Bank provides comprehensive banking products and services to cooperatives and other member-owned organizations throughout the country. What makes NCB unique is that the bank was created to address the financial needs of an underserved market niche- people who join together cooperatively to meet personal, social or business needs, especially in low-income communities. For more information, please visit www.ncb.coop. 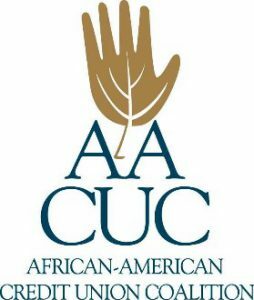 The African-American Credit Union Coalition (AACUC) is a non-profit organization of African-American professionals and volunteers in the credit union industry. Our mission is to increase the strength of the credit union community through Advocacy, Professional Development and Diversity. We provide mentorship to individuals and credit unions, scholarships for educational opportunities to credit union professionals and promote awareness of opportunities in the credit union industry to college students through our Reaching Toward the Future Internship Program. For more information, please visit www.aacuc.org. BALANCE is a new kind of non-profit—a company committed to developing balanced budgets with individuals and families to help them achieve their financial dreams. Our comprehensive financial counseling and education services can help people achieve financial independence. Whether it’s reducing debt, buying a home, retaining a home, or simply improving money management skills, we provide guidance every step of the way. To learn more, please visit www.balancepro.org. Multi-Bank Securities, Inc. (MBS) is an independent, fixed-income securities broker-dealer that has been serving institutional investors across the U.S. for more than 29 years and is a veteran-owned business. With offices in all 50 states, our customers include credit unions, banks, counties, municipalities, money managers and other institutional and public funds investors. To learn more, please visit www.mbssecurities.com. The NCUA’s Office of Minority and Women Inclusion is responsible for all matters relating to measuring, monitoring, and establishing policies for diversity and inclusion within the agency’s management, employment, and business activities. The office is also responsible for measuring, monitoring, and providing guidance about diversity for the NCUA’s regulated entities, excluding the enforcement of statutes, regulations, and executive orders pertaining to civil rights. To learn more, please visit www.ncua.gov. Nimbo Tracking is a technology leader in the use of GPS (Global Positioning System) technologies for locating and tracking vehicles, trucks, and heavy equipment. Reach the peak performance of your overall, automotive loan portfolio and price loans more competitively with CU Trak – GPS vehicle tracking and Stolen Vehicle Recovery (SVR) all rolled into one. Our simple GPS tracking solution was designed with your needs in mind, giving you access to the tools and intelligence you need to sell more loans while decreasing your delinquencies and repossessions. To learn more, please visit https://nimbotracking.com. Sound Payments Banking Technology Solutions (BTS) provides best-in-class branch, online and mobile banking technology solutions that are normally only available at larger financial institutions. Sound Payments BTS is a subsidiary of Sound Payments a multi-channel, diversified technology company that delivers innovative technology and software solutions in the Payments, Healthcare and Financial Services Industries. To learn more, please visit www.soundpayments.com. Equifax is a global information solutions company that uses trusted unique data, innovative analytics, technology and industry expertise to power organizations and individuals around the world by transforming knowledge into insights that help make more informed business and personal decisions. The company organizes, assimilates and analyzes data on more than 820 million consumers and more than 91 million businesses worldwide, and its database includes employee data contributed from more than 7,100 employers. To learn more, please visit www.equifax.com. MetLife Foundation was created in 1976 to continue MetLife’s long tradition of corporate contributions and community involvement. Since its founding through the end of 2017, MetLife Foundation has provided more than $783 million in grants and $70 million in program-related investments to organizations addressing issues that have a positive impact in their communities. In 2013, the Foundation committed $200 million to financial inclusion, and our work to date has reached more than 6 million low-income individuals in 42 countries. To learn more, please visit www.metlife.org. PSCU is the nation’s premier payments CUSO. Committed to service excellence and focused on innovation, PSCU offers a comprehensive, highly integrated suite of traditional and digital payments solutions for credit unions to optimize their member experience. Leveraging digital technology, PSCU supports the success of nearly 900 Owner credit unions representing over 20 million accounts through secure, best-in-class solutions including payment processing, risk management, analytics, loyalty programs, digital banking, marketing, strategic consulting and mobile platforms. To learn more, please visit pscu.com.